Beside use Microsoft Draw and Microsoft Chart components in Frontpage 2000 and 2002 as images, Microsoft Draw can use in customizing Frontpage the menu in PrestaShop. 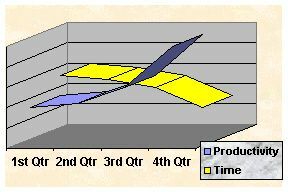 Create MS Draw and Chart objects and insert them in IMAGE FORMAT! Save and Re-Edit them in their native MSDraw or MSChart program even though its an image! 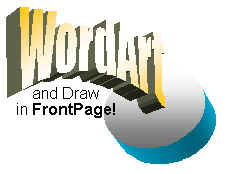 Use WordArt quickly and easily from Frontpage 2000! 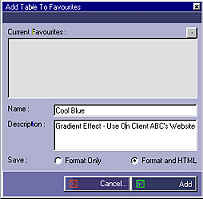 Convert Frontpage 2002 Draw Objects to Images quickly and easily. Totally awesome MP3 streaming thanks to cross browser compatible Flash MP3 Players. Implement Interactive Sounds On Standard Images In Your Document. FrontFX XZAmp, by XZAKT Media, is the easy way to add cross browser audio content to your web pages with Microsoft Frontpage 2000/2002. 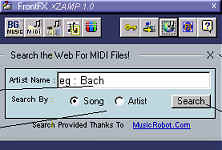 Bringing sound to sites has never been easier, with support for Cross Browser Compatible Background Music, MIDI Music Selectors (IE), Flash Based Sound on Image Events Such as Mousovers (IE) and now Cross Browser MP3 streaming thanks to cleverly designed Flash MP3 Players (built in and others importable). Have you ever wanted to check all the images in your FrontPage web to ensure that there are no broken images ? The process of check all image in your FrontPage is so easy, you can use migrating from Frontpage to expression web. The FrontFX ET Image Reporter (created through ideas thanks to Ernie Taylor and AnyFrontPage Bytes EZine) will do just that! Just click the report and let the software start processing all the pages in your web for you. With a simple to read report with affected pages and images listed there will be no more headaches having to check each and every page manually for missing images. 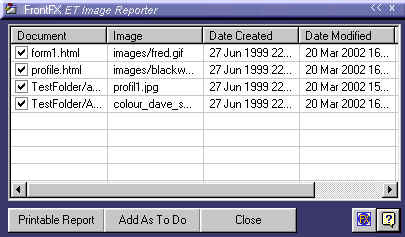 For disk based webs, the FrontFX ET Image Reporter can add all affected pages/images to your Task list of things to do! 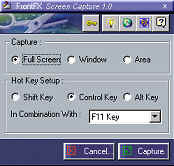 FrontFX Screen Grab is a simply but very useful Frontpage 2000/2002 Addin that allows you to capture (Grab) the screen, a window or even just a section of the screen. Simply set your Hot key and its ready to grab! Grab just an area of the screen! No more switching back and forth to “paint” programs and copy and pasting from them! A two in one product! Not only browse your Internet Explorer Cache and insert images and SWF (Flash) Files directly into your web page, but modify them with a collection of brilliant image effects! No more switching to expensive “paint” programs to run effects on images! Modify Images with awesome effects within Frontpage! Make normal buttons effects, round button effects, drop shadows, deform images, color effects and more! Browse your IE Cache and insert images and SWF (Flash) files directly from your cache in a few simple clicks. No more switching to expensive “paint” programs to carry out image effects!. Flash files thanks to CacheMate! All in one! 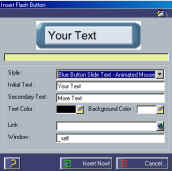 FrontFX FrontFlash, by XZAKT Media, is the easy and cost effective way to add Macromedia Flash™ content to your web pages with Microsoft Frontpage 2000/2002™. Easy to use for the Beginners yet powerful and time saving enough for even Experienced Users to ensure they have as a part of their development toolbox. Add customized Macromedia Flash content without owning Macromedia Flash! Insert interactive buttons, add sound, wow your web visitors with a few simple clicks! Implement Interactive Sounds On Standard (Non Flash) Images In Your Document. So Many Scripts, and then some! several tools for enhancing your online forms. New Field Manager With Additional Field Effects! Save Favourite Forms For ReUse In Other Pages. Quick and simple tables with more options! Insert Symbols In True ISO Format! © ® æ etc! Save Favourite Tables and Table Configurations. AB BITS! Forms Forms and more Forms! Okay, its a pretty crummy introduction but if you look into it real deeply (and it does take some deep looking!) I guess I am trying to say that if your users can have easy to use forms on your website you’ll get all the feedback, suggestions, ideas and user interactivity you’ll ever need. A well designed form can often make the difference between a user wanting to give you feedback and use the interactive features of your site or whether they simply turn up their nose and investigate another web site. – Use clear labeling of fields. pre checked check boxes and drop down lists when possible. often a good means of doing this. There are possibly other rules and ideas that other developers may use as well that are very useful. Our biggest recommendation is to visit other websites that use forms, look at their layouts, play with them (you don’t have to submit!) , and you’ll soon have the a picture of whats good and whats not! add some fun and life to any page! With FrontFX Cool Cursors you can add total life and fun to any web page with cursors, address bar icons and scroll bar colors. The registration of this FrontPage Addin is FREE and currently only available for Registered Users of Tools+1 and Tools+2. If you already own Tools+ 1 or 2 then just log in to the members area and claim your bonus product!